All kids ages 4 years-entering 6th grade are invited to Cedar Creek's "SUMMER JAM" VBS! Mark your calendar for Monday night, August 6th through Thursday night, August 9th. Dinner will be served at 5:30 pm and the program goes until 8 p.m. We'll have fun worship, great games and crafts. Suggested donation for the whole week is $5 per child ($12 maximum per family), which covers everything, including all meals! 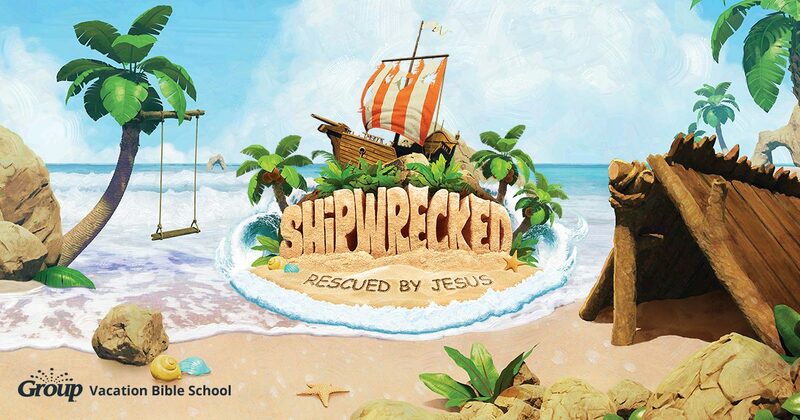 This year's theme is "Shipwrecked". Kids will venture onto an unchartered island where they can survive and thrive. They will be anchored in the truth that Jesus carries them through life's storms! **Please pre-register by clicking Summer Jam Registration, fill out, and send. It's simple! Doors open at 5:25 for dinner each night. We look forward to seeing you at Summer Jam!